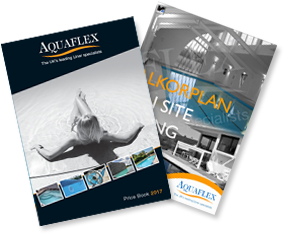 Aquaflex presents an exciting range of rollers for use with solar covers. The ORION roller for pool widths up to 15’ 0” wide and the VEGA for pools up to 20’0” wide constitute an extremely competitively priced option for use with domestic pools. The choice of a roller system depends on many things including the pool size and type of cover being used. To achieve an effective reel system the correct diameter and thickness of the reel must be married to the weight and size of the cover, if an oversized cover is put on the wrong type of roller it is possible that the roller may buckle and not perform properly. Reel systems with a telescopic tube are easier to stock and cheaper to deliver. Moreover they are designed for smaller pools. For bigger pools (generally anything over a 20’ x 40’) we recommend single tubes.